Lampranthus blandus is a succulent, perennial shrub. 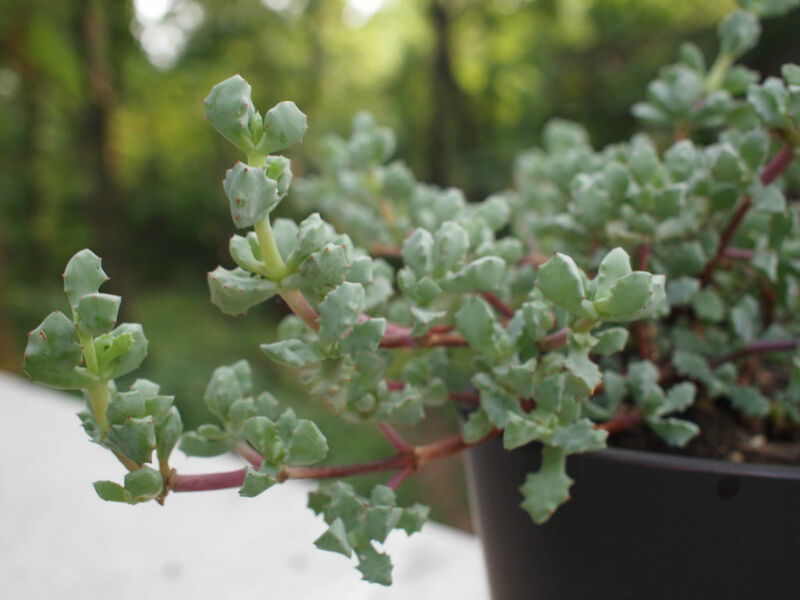 In nature, the shrub will reach up to 2 feet (60 cm) tall. In containers, they only get up to 18 inches (45 cm) tall. 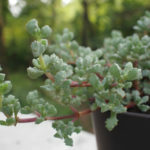 The gray-green leaves are equally 3-sided, elongating up to 2 inches (5 cm), with translucent dots. It is a free bloomer, if given lots of sun and heat in the summer. 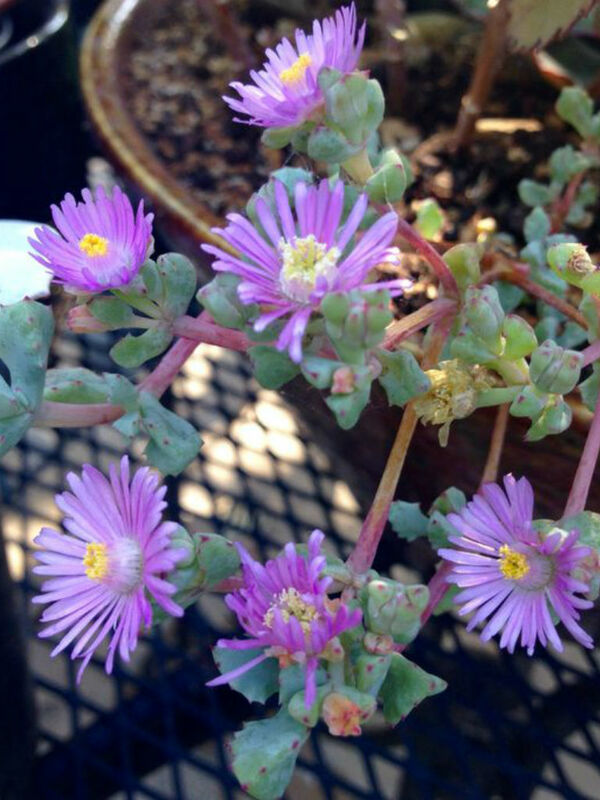 The plant can literally be covered in pale pink flowers all summer long. 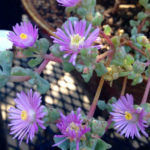 Lampranthus are generally hardy in U.S. Department of Agriculture plant hardiness zones 8 through 11, but this varies depending on the species. 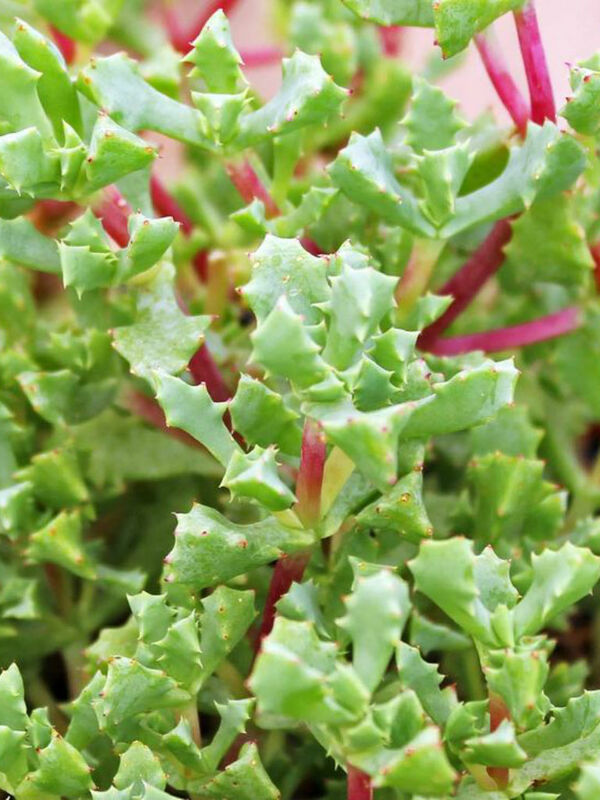 Lampranthus thrive in well-drained, poor soils and are suitable for soils with a sandy or rocky texture, although they’ll grow in almost any soil type. They tolerate exposure to salt and grow in coastal conditions. 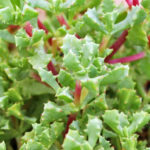 Plant rooted cuttings in spring after the possibility of frost has passed. Space the cuttings 6 to 24 inches (15 to 60 cm) apart for trailing species, using closer spacings for quicker coverage. Dig a hole just a little larger than the roots at the cutting’s base. Put the roots in the hole, cover them with soil and tamp the soil firmly in place. 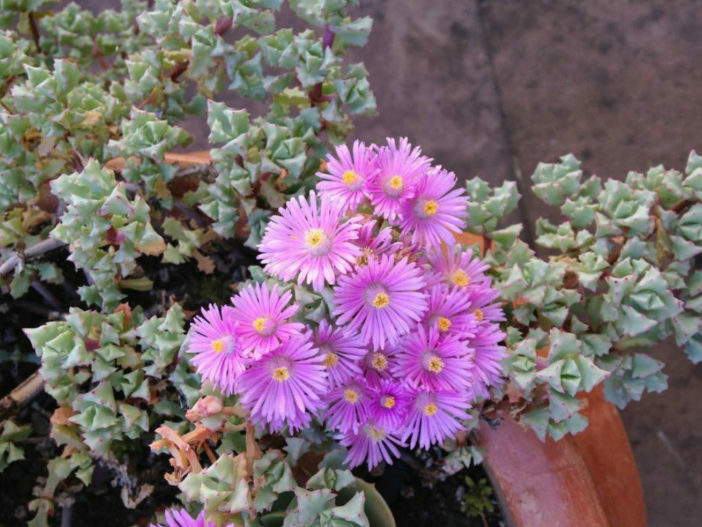 For erect or mounding species, space them according to the mature dimensions for the particular species... – See more at: How to Grow and Care for Lampranthus.